The Mayors Wellness Committee is dedicated to helping the residents of Mount Arlington achieve optimal health with an active lifestyle, and nutrition and health education. Please check our page on a regular basis for updates. 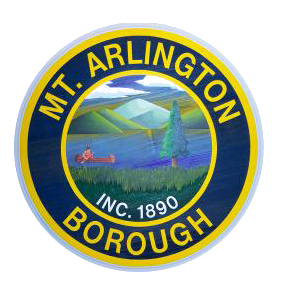 Mayor Stanzilis and the Borough of Mount Arlington have pledged to work cooperatively with the NJ League of Municipalities’ Mayors Wellness Campaign to implement new programs which will promote active living and healthier lifestyles for the men, women and children of our community. The mission of the Mayors Wellness Campaign is to equip mayors and other key leaders with the tools to develop and implement active-living initiatives in their communities with the ultimate goal of improving health and reducing the skyrocketing health care costs that come with the obesity problem in New Jersey. Provide links to a wide variety of government approved health and nutrition information websites. Give evidence based tips on nutrition, weight management and physical activity. Encourage community participation in obtaining and maintaining our status as a healthy town. If you are interested in becoming a volunteer and working with the committee or have any ideas for events please contact us at [email protected]. More hands make less work. We value your time and appreciate your involvement. Have a question or want to share an idea with the Wellness Committee? Send us an email.